It’s almost time for Dreamforce ’15! I’m going to be working my magic, meeting as many people as I can, and speaking at a good number of sessions this year. Want to come see me? Sign up for these sessions today! Are you a new Salesforce Admin or a Super User looking to understand the power of the creating an application with point-and-click tools on the platform? This session is for you! The goal of this session is to help familiarize you what tools exist on the platform and how you can use them to build an app without writing a single line of code. In addition, in between lessons you’ll get hands-on and build a sustainable app that you can put to work today. At the end of the workshop, you will feel empowered about point-and-click app building, confident in your ability to streamline business process, and be engaged with Salesforce. NOTE! We’ll be using one of the Trailhead Projects as the basis for this workshop – come ready to point-and-click your way to success! Watch customers go head-to-head in the DevZone arena as they face off on Trailhead challenges. Who will emerge victorious? Join us and find out. Processes and Flows are quickly becoming a go-to tool for both Administrators and Developers. Field updates, time-based actions, fast record lookups, and record creates are all possible declaratively. However, what happens when you need to take your process to the next step, and basic Processes and Flows cannot support your business logic? Join us to learn how developers can utilize Apex interfaces and annotations to customize and support Processes and Flows. You’ll leave with an understanding of how to use the ProcessPlugin interface and the InvocableMethod annotation for allowing Flows to make callouts, handle faults, and implement customized business processes. You should have some familiarity with writing Apex, along with a basic understanding of Processes and Flows to fully participate in this session. Join us to learn how to create custom Apex REST web services to allow multiple external systems to integrate – more specifically, the architecture of such services to control and sanitize inputs, fully handle internal exception reporting, and return standard outputs that are able to be consumed and handled by any external programmatic solution. “Why won’t the users use my interface? It does exactly what they want it to do!” is a common frustration by developers. Change your mindset. Developers work like developers, users work like users. Let’s talk about how to think like a user. What the heck is “Productization”? Is that even a word? Not according to Merriam-Webster, but it’s a word that you will want to introduce to your vocabulary! We all absolutely love implementing Salesforce – the thrill of setting up a new org (aahh that new org smell! ), getting business requirements, and building out exactly what the business needs. Who doesn’t love doing this part – I know I sure do! So what happens after “launch”? Many companies continue at the same velocity as they had during the build phase – which may keep noisy users at bay, but how often do we think about those non-noisy users? How often do we think about “implementation fatigue”? What about other areas of the business that want to onboard? Often, we end up thinking of such things months or years down the road when data starts becoming shoddy, management stops managing from the tool, or you find the users have created a thousand Excel sheets with PivotTables to actually output useful reports because their data source keeps changing. So what is “Productization”? Productization is the process of taking your platform and taking it from the adhoc building phase to a more of a traditional enterprise platform “tool” that is predictable, stable, and trusted. Picking the phrase apart – you are essentially making a “closed” product that your users just pick up and use, similar to how they would use Excel, Word, etc. One thing that many people confuse with a “Productized” solution is one that is static, closed, or non-responsive to changing business needs – absolutely not the case! This is where you start really exploring and implementing those fancy themes that consultants throw around such as governance/change management, formalized ideation, or formal on-boarding processes. You want to create a PRODUCT. This blog post is the first in a series that will discuss the overall themes and approaches of a “Productization” roadmap. Today we’ll be talking about user expectations/management, speed/velocity of change, and involving your users in the ideation process. 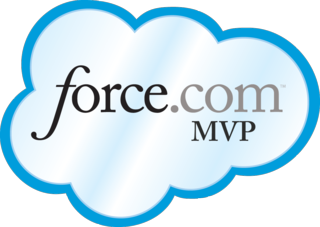 The double-edged sword that is salesforce.com is that it’s incredibly configurable…by anyone in the organization. This ability is second-to-none when we’re building and honing in the platform, but all of that effort is leading you to your “release version [x]”. One of the greatest hurdles to any salesforce.com implementation is adoption; many adoption approaches can be utilized such as “creating [x] records per week”, “managing from the tool”, or “compensation driven from the tool”, but for those doing day-to-day work in the system stability can mean just as much or more than anything else. Think about it – would you look forward to using a tool at work that you never trust is going to be the same tomorrow? How much effort would you put in to learning how things work or much less how to make them more efficient if tomorrow everything could change? Having a tool that is predictable fosters an environment where users trust the system and invest more time/energy to using it. To associate a silly visual – “the cockroaches scatter when you turn on the lights”. The same visual can be applied to users and change – if you change your system haphazardly, your users will scatter! Very few things have the impact on the overall success of your solution more than a fully engaged user base. Providing your user base with a forum where they can bring new ideas to light, have prioritization input on the implementation of said ideas (with the assistance of a steering committee), and can bring fixes/improvements back to their peers is both empowering and invaluable. Once you throttle back the engines and make the current users and management stable and happy – then let’s start talking onboarding units and users, but next time!